In Spanish, Christmas Eve is called La Noche Buena or The Good Night and in Spain it is celebrated with a large family feast that is eaten late in the evening and lasts a couple hours. Some families attend midnight mass before or after, although many families are still finishing dinner around the table at midnight! Christmas Eve is a time for celebrating in neighborhood bars and taverns and around the table with family and friends, not a time for gift exchanges or Santa Claus. That must wait until January 6th, which is Epiphany, a religious holiday. We have put together a menu for Christmas Eve dinner, Spanish-style. It has several courses and includes tapas or appetizers, as well as dessert and coffee or after-dinner drinks. None of the recipes are terribly difficult to prepare and you certainly do not have to use all of them. Pick and choose what you like and add some Spanish flavor to your Christmas table! Artichokes with clams: Artichokes are a popular vegetable in Spain, especially fresh from the market. They are often served sautéed with ham or stuffed with white sauce and ham or meat, etc. Sometimes served cold, they combine well with anchovies and piquillo peppers, or with salmon and capers, or tuna fish with a good olive oil. Gambas a la plancha (Pan-grilled shrimp): Spaniards love to eat grilled shrimp at the counter of a good tapas bar while sipping a glass of chilled fino sherry or cold beer. The bars are often crowded, leaving little or no space for proper eating, and I find it fascinating to watch the locals skillfully manage to eat shrimp with one hand while holding a drink in the other. Champiñones al ajillo: Few tapas taste more Spanish than champiñones al ajillo (ajillo mushrooms), dripping with olive oil, garlic and dry Spanish Sherry. 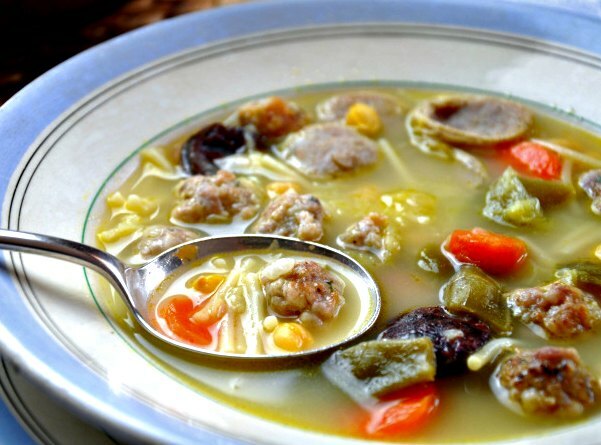 Escudella means "bowl," and in Catalonia it is the name of a big stew-soup, escudella i carn d'olla, usually made for Christmas. 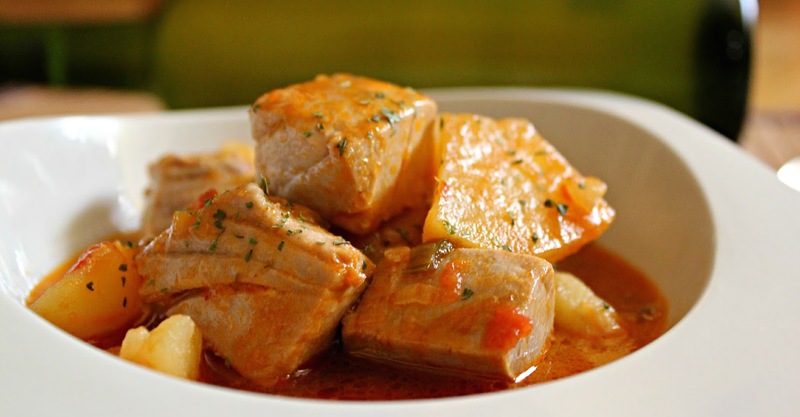 The rustic taste of this stew is evident in the bones and feet, whose gelatin give such an unctuousness to the dish, and in the rough vegetables such as cabbage and turnips that were so common in the mountains and hills. Cocido Madrileño: As happens with Escudella (see above), this recipe can make a whole meal by its own, you can eat the soup as a starter, and then the meat, or save the meat for the following day! Garlic Soup: Bread and garlic soups are eaten for supper by the poor all over the country. This garlic soup is fortified with eggs and canned tuna, which I suspect has come to replace the traditional salt cod. Cordero Asado - Roast Lamb: Roast lamb will not disappoint you or your guests at Christmas dinner. It is less work than roasting a turkey or duck and is much tastier. Havent you had turkey already this holiday season? Why not try Cordero Asado - Roast Lamb this year? 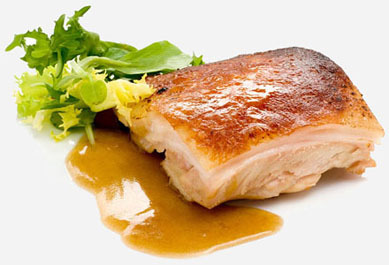 Cochinillo asado: You’ll find this dish served all over Spain, but it is typically Castilian. Segovia, famous for its Roman aqueduct, is also well known for its wonderful cochinillos, or “suckling pigs,” which many local establishments specialize in roasting to perfection. Throughout Castile, most cities and even small villages also have restaurants that serve cochinillos to the delight of residents and tourists alike. 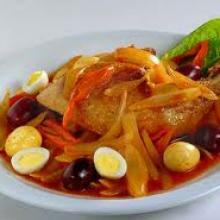 Escabeche de pollo de navidad: This unusual escabeche recipe is prepared in Extremaduran households for Christmas Eve. Although several steps are involved, the recipe is not difficult, and its extraordinary flavor is worth the preparation time. Caldereta de Langosta (Lobster Stew): An exceptional Lobster stew, typical from the Balearic Islands, and celebrated all over Spain. Mantecados or Spanish crumble cakes. Read this article to learn about the most common Spanish Christmas Sweets.